the trucks and the track record to get it done right. Trans Canada Movers Inc. is a long distance moving company, based in Vancouver British Columbia specializing in residential and commercial moving across the Canadian - American border as well as interprovincially. We own our own fleet of trucks and big rigs so we can provide the right vehicle for your move anywhere in North America. We are a family owned business, and our team are all employees who are well trained to ensure that your move happens on time, without fuss or bother while meeting or exceeding your expectations. From your first contact with us until the last item is safely placed in your new home or office, our team of professionals will take good care of you and your precious possessions. We are family owned and operated and take great pride in providing first rate customer service. We have an A+ rating with the BBB and are members of the International Association of Movers. We offer professional packing and unpacking services. Storage facilities available in Vancouver, British Columbia. We provide highly rated residential and commercial services. Our polite and experienced professionals always aim to be on time. We own our own truck fleet and have a wide variety to meet your needs. Trans Canada Movers are industry leaders in relocating households and businesses within North America. We know and understand all the intricacies, complex often obscure rules and regulations that occur when entering or leaving Canada or the USA. With over 20,000 successful moves across Canada and to the United States, we can get you there. 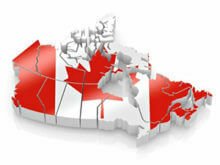 Not only do we offer moving services across Canada and to the USA, but we also do local moves too. Whether you are looking to move from Surrey or Vancouver to Burnaby, Coquitlam or Hope, we are a local moving company you can trust. 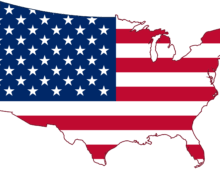 If you are relocating to the USA or internationally, the team at Trans Canada Movers can help. With over 20 years experience, we have the know how to take the stress out of a cross-border or overseas move. We also offer local Vancouver storage. If you are in between places during your move and renting or staying in a hotel for a period. Trans Canada Movers has you covered. With onsite heated and secured storage, we can protect your belongings while you are in transition. Trans Canada Movers are a member of the respected International Association of Movers, which represents over 2000 companies in over 150 countries, have an A+ rating with the Better Business Bureau, and we are proud members of the Surrey Delta Chamber of Commerce. Our teams are experienced professional movers; they love what they do and they are good at it! We take pride in offering the best equipment, personnel and services for your long distance moving needs both residential and commercial. If you are departing North America or arriving from other countries, we have an excellent partner network via our membership in the International Association of Movers which allows us to offer services and support in over 150 countries worldwide. Why you should use Trans Canada Movers Inc.
We follow and abide by the terms of the Good Practice Guidelines for Canadian Movers. Trans Canada Movers will happily provide you with information that outlines customer and mover rights and responsibilities, as well as clear information regarding mover liability for loss or damage, limitations on liability and additional costs associated with each level of liability..
We own all our own equipment, and perform the move ourselves. In some cases where we cannot provide a competitive quality service we may recommend other companies to you, but if we take a contract, it’s our trucks and our staff doing the move. We have our own storage facilities to securely and safely store your possessions if such a service is required. You are welcome to visit and check out the company's offices, storage facilities and vehicles before you move. We are a fully insured, bonded and licensed mover with a long track record of delivering on-time, on budget hassle free moves and have the customer testimonials and professional credentials to prove it. All our staff are employees and are covered by the Workers' Compensation Board. BEWARE of companies who outsource their staff as you may end up paying for any employee injuries during the move. We provide written estimates that clearly identify the items to be moved, weights, number of boxes, size and value of special items, terms of payment etc. You can also use our on-line moving calculator to clearly identify all items you need moved. The service I received was awesome. That service was from Vancouver to Boston, I always worry about cross border move. But there was nothing to worry about. They made it so easy for me. Even took a picture and send it to me after they unloaded the truck to my storage here in Boston. The movers worked very hard with sensible cares such as never drawing furniture on the floor and always watch out at every corner not to chip walls. Not only their work on the day was good but also customer service dealt with by sales persons was good. They gave me a booking confirmation via email. Most of booking process was done through email. We hired Trans Canada in September 2017 to complete a move for our son from Vancouver to Montreal. We were very pleased with the work done by Trans Canada. Very professional and courteous. Strongly recommend them for a company providing moving services. Excellent, professional service. We made a last minute booking the day before the move and everyone was more than accommodating. By the following afternoon all our stuff was moved. Bed was wrapped in plastic at no extra charge, staff were all very polite and friendly. And even shuffled furniture around for us at the new place to get it exactly where we wanted it. Wonderful service, we will definitely be using this company for all our moves. And price was definitely reasonable for saving us all the trouble and effort. Thank Dennis and his great team on site. I was so nervous about moving from one country to another, because i had no idea where to start or who to call. Luckily i was able to come across Trans Canada!. They were here for me from the beginning of my move to the end. Everyone i talked to were very respectable and professional. The salesperson is very well trained and movers treated my things with such care. And most importantly they were on time! 🙂 I am just so relieved that there are still honest and professional companies just as trans canada movers. I will definitely recommend to family and friends. Companies these days are far too often overrun by poor reviews when the vast majority of great transactions and experiences go unnoticed. That said, I just wanted to offer some praise to these guys for a job well done. We recently had Trans Canada Movers ship some of our items from Vancouver, BC to Toronto and were very impressed with the entire process. The contacts at the head office, particularly Tammy R. made what would usually make for a stressful situation painless and easy. Amazing communication despite my numerous emails and inquiries. The guys who picked up the items on the day gave me a window between 10:00 AM and 2:00 PM. When they called me at 10:03 AM just three minutes into the proposed pick-up window, I was beyond impressed. Friendly group, professional and very fast. Finally, the quoted amount was honoured and we knew exactly what to expect in terms of balance owing and delivery time-frames. Would not hesitate to recommend their services at all. Remember, you’ll always find far more negative reviews online than positive but Trans Canada Movers are an excellent company, offering an excellent service. Thank you again.